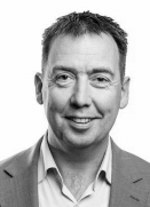 Sven has worked as a consultant, coach and trainer on aligning business and IT at various organisations in the Netherlands for more than 20 years. Both at profit and non-profit organisations Sven has helped teams and individuals to reach improvements in processes and results. He masters and applies several methods and techniques and is specialized in agile requirements engineering. Sven has helped many persons to achieve more with the right use of requirements techniques and with the application of agile ideas and frameworks. He loves to share his experience with others. Sven has written many articles and is an experienced speaker at events. Currently Sven van der Zee works as requirements analyst and manager for Dutch Railways (NS).